An idyllic setting in Venice with moored gondolas and the addition of the text follow your heart, an inspiring quote for anyone with wanderlust. This video loop is ready for your big video screens, a strong foundation for your video works. 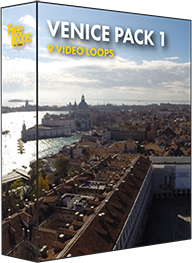 This video loop is part of Venice Pack 1.